Anxiety is a very common mental health disorder that millions of people suffer from around the world. While it can be frustrating dealing with a lot of anxious thoughts and side effects like panic attacks, there is hope for you. Among the different ways to deal with your anxiety on a daily basis, you can use books, journals, and planners to get your life in order and figure out what triggers your anxieties and phobias. One great way to do that is with the Anxiety and Phobia Workbook. Here are some things to know about this workbook so you can decide if it is a good option for you. First things first, let’s look at what you get with the Anxiety and Phobia Workbook. This workbook provides everything you need to get started on dealing with anxiety disorders, panic attacks, and the resulting phobias. There is actual clinical research involved in the making of this book, so you know it is going to be helpful if you are someone struggling with a lot of anxiety and irrational phobias. You can get help with your fears and worries just by using the workbook consistently. There are many areas of the workbook that you can use to your advantage. For example, there is a section of deep breathing techniques, showing you how to do them and giving you the option to exercise them. Through the workbook, you also learn about stopping your negative thoughts, using imagery to stop panic attacks, and making healthy lifestyle changes like exercising and eating better. All of this together is put into a workbook that helps you handle your anxiety. This book is of course recommended for anyone with anxiety, but especially those who have severe panic attacks, extreme worry, or who have phobias associated with their anxiety. By using the workbook, it is meant to help you get around these phobias and start to live your life without anxiety keeping you from doing the things you want. If you have phobias like hypochondria or agoraphobia, it often keeps you inside your house, afraid to leave for work or spend time with friends. This can really put a damper on your work, personal, and social life. Use this book to get help with your anxiety and phobias, along with other mental health issues like stress and depression. Yoga has been around for more than 5000 years and it is believed to be one of the oldest practices for reducing stress and anxiety. Yoga began in the Far East and today it is practiced by millions of people around the world. Yoga is a practice that combines a focus on breathing as you proceed through a number of specific poses. To say that it is beneficial for health is a huge understatement because it actually has more than fifty health benefits for the mind, body, and emotional wellbeing. It is a discipline that combines a focus on breathing along with doing physical postures that follow graceful movements as you go from one pose to the other. The regular practice of yoga is known to reduce anxiety and stress, and is one of the best options for those with anxiety issues. It alleviates tension in the back and neck muscles, and can help lessen any physical aches and pains associated with anxiety. • Meditation – This is the art of making your mind focus on one thing, such as the breath so that it becomes released of tense and negative thoughts. • Controlled breathing exercises – The breath is often timed with the yoga poses so that the entire exercise is a dance of breath and motion. • Stretching – This addresses directly the muscle tension associated with chronic anxiety. • Mental imagery – Through mental imagery, you can “travel” anywhere in the world through your imagination, leading to comfortable thoughts that yield calm and eliminate anxious feelings. • Physical movement – Some types of physical movement in yoga are intensive and other times it is graceful and fluid. Any types of physical exercise will trigger endorphins in your brain, giving you feelings of wellness and a lack of anxious distress. Yoga has many benefits for the mind and body. • It reduces anxiety and stress. • Yoga improves sleep, which further reduces anxiety. • It reduces levels of the stress hormone cortisol in the body, which is a major contributor to anxiety and manic states of thinking. • Yoga reduces blood pressure. • You can experience a sort of spiritual growth, which is calming and reinforcing in its own right. 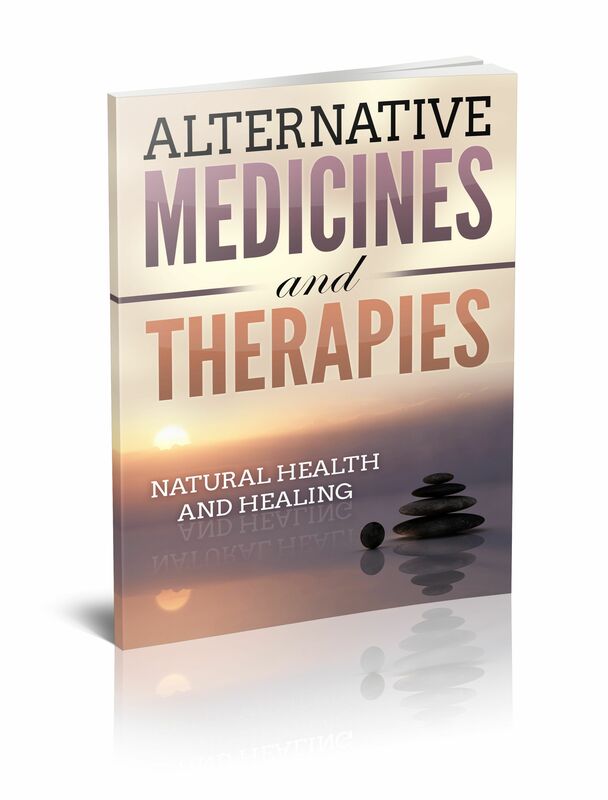 • Your endurance, flexibility, and strength can be enhanced and the tension in your “anxious muscles” will go down, eliminating anxiety-producing stress on the muscles. • It lowers heart rate so that the subjective feelings of anxiety are lessened. • The use of controlled movements required in yoga provides you with much better self-control in all aspects of your life. • Unlike other workouts, yoga offers a unique mind-body connection facilitated by the matching of controlled breathing with various body movements; this translates into a profound feeling of internal calm and peace. • Yoga facilitates the release of internal negative energy, which, when done regularly can have great benefit for reducing depression and its symptoms. • Yoga elicits the relaxation response in the body. Yoga offers many advantages as a stress-reducing exercise. It can be done in different ways so that just about anyone can find a program of yoga for anxiety reduction, regardless of age and infirmity. Along with relaxation and anxiety-reduction, you can become energized in many areas of your life. You feel more connected to your body so you can identify stressful situations more readily. While it can be harder for those who have limitations of the physical body, just about everyone can get something out of yoga as a way of reducing tension and anxiety. When yoga is combined with mental imagery or meditation, there are more benefits. With yoga, you can learn to control your breath and to let your mind “travel” to places in the world that are filled with beauty and relaxation. The sky is the limit when it comes to ways you can use yoga in order to de-stress your life and create a place within yourself where anxiety can be controlled. Yoga can be learned on a DVD or in classes. You get attention that is more personal in a class but it can be cost prohibitive. All it takes is a couple of sessions for you to realize that you can control your chronic anxiety through making positive strides toward relaxing your body. Anxiety symptoms can leave a person debilitated and fearful of even leaving their home. The feeling itself can really have a major impact on overall wellbeing, especially for those who suffer at a chronic level and have to deal with anxiety on a regular basis. It can cause exhaustion, and negatively impact one’s qualify of life. Anxiety is also a major cause of depression and often those diagnosed with any type of anxiety condition also suffer from depression. Conventional medicine typically uses prescription medication and psychotherapy to treat anxiety and anxiety based disorders. However, many natural complementary therapies can also be of great help. It is well worth the effort to explore these options in order to avoid becoming addicted to prescription drugs, and to enhance any other type of therapy being used for treatment. There are a number of herbal teas and other plant botanical treatments that can leave you calm and help to alleviate the nervous feelings associated with anxiety and anxiety disorders. Herbs have been used for centuries to alleviate numerous ailments and help with various medical conditions. They are natural options to addictive medications and can be used as a complementary therapy in treating anxiety disorders and isolated anxiety events. Most herbal remedies come from the Far East, while others were developed in Europe and in the Pacific Islands. • Passionflower. This herbal remedy has been found through research to work as well as the addicting benzodiazepines available by a prescription from your doctor in the treatment of anxiety. One well-designed study showed that passionflower reduced anxiety over a four-week period; the herbal remedy was just as effective as a popular anti-anxiety medication. It is believed useful in the treating agitation, irritability, depression, and withdrawal from opiates. It can be taken as a tea or through liquid extract drops. • Lavender. A recent study showed that lavender relaxed people and controlled many of the symptoms as well as the prescription medication Ativan on patients who had generalized anxiety symptoms. It is non-sedating and is taken as an essential oil for inhalation or as a crushed supplement in a capsule form. • Lemon Balm. Lemon balm is used in aromatherapy, in dropper liquid form, in a bath or taken as a dried herb. It has been shown to reduce anxiety after only a single dose. • Ashwagandha. This is an herbal remedy given as a standardized supplement for the relief of anxiety symptoms. Several studies showed reductions in the stress hormone cortisol and a reduction of anxiety-related symptoms with Ashwagandha. It can be taken for a long period without any serious side effects. In one study, it compared favorably with Ativan. • L Theanine. L-theanine is a water-soluble amino acid that is found in both black tea and green tea. It can be taken as a tea or as a regular capsule supplement. It is non-addictive and has no sedative side effects. It is believed to act directly on brain structures to lessen anxiety and stress-related symptoms. • Kava. This root powder was originally used in religious ceremonies on many Pacific islands because it induces a calm that can facilitate a release of anxiety. Kava is not taken as a tea, but instead in capsule form for the reduction of anxiety. Herbal remedies have some special properties not found in anxiety-relieving benzodiazepines. They are all natural supplements with many centuries of successful use. They are also non-addicting and are gentle on your system. Herbal tea is a safe and easy way to maintain feelings of calm on a daily basis. Herbal teas and the practices described above can be used to help relieve symptoms of anxiety, without addiction or unwanted side effects. Talk with your doctor before trying them so you know they won’t mix badly with other medications you are taking. For the most part, they have no side effects. However, it is important to realize that herbs can interfere with sedative medications, so caution should be taken, ask your doctor or an herbalist before starting use. Is Your Diet Contributing To Your Anxiety? Doctors and scientists now know that what you put into your body as food or drink can affect your emotions and can contribute to or alleviate anxiety, depending on what you eat. The nutrients and non-nutrients in certain foods affect the brain and a bad diet can contribute to having an anxious personality or spells of panic. The American diet is not conducive to a healthy brain and anxiety can come about as a result. • Caffeine – Caffeine is found in coffee, some teas, chocolate, and cola drinks. The caffeine acts to stimulate the brain, contributing to anxiety and panic in susceptible individuals. Drink more water, fruit juices, and herbal teas in order to reduce your level of anxiety. • Sugar – Sugar is quickly absorbed into the body once it is eaten. It can produce a temporary sugar high, which is interpreted by some as feelings of anxiety. Worse yet, when the sugar clears out of the bloodstream, you feel a low and depressed mood. These mood swings are not healthy for people who suffer from anxiety. It is much better to eat foods with a low glycemic index, which means foods in which the sugar is more slowly absorbed by the body. • Alcohol – Many people feel that alcohol relieves anxiety but it is only a temporary phenomenon. The result is that alcohol becomes a depressant, leaving you morose and unsettled. Drinking a bit of wine for dinner won’t hurt you but excessive amounts of alcohol can permanently damage the brain. • Processed foods like hot dogs, pastries, and cakes that are not handmade – These foods contain preservatives that negatively affect your mood. Research has shown that those who eat a diet high in processed foods have greater rates of anxiety and depression. You would do better with food rich in lean protein, complex carbohydrates, and healthy fats that are free of preservatives. There are also calming foods that can help to lower your level of anxiety and can regulate your moods. • Greek yogurt and other foods containing protein – Scientists have discovered that Greek yogurt and the protein found in beans, lean meats, lentils and nuts have the ability to raise the brain’s level of dopamine and norepinephrine. You will feel more mentally alert and will have more physical stamina. Dopamine helps you feel good, alleviating some of the anxious thinking that goes on in your mind. • Salmon and other fatty fishes – These fish products contain high amounts of omega 3 essential fatty acids, which are known to increase wellbeing and improve your mood. People who take antidepressants and who eat fish high in omega 3 fatty acids improve their mood faster than taking the antidepressant alone. • Whole grain foods – Foods high in whole grains allow the gradual absorption of sugar into the bloodstream and raise the brain’s concentration of serotonin, which regulates mood and helps you feel better. Substitute highly processed foods with whole grain; natural foods and you will feel much better and have less anxiety and depression. • Lean meats like beef – These are foods that contain B vitamins, known for their mood enhancement properties. Thiamine or B1 is one of the calming B vitamins. People low in vitamin B12 have higher risks of stress-related depression when compared to those who have enough B12 in their system. • Turkey – Turkey is high in L tryptophan, which is a natural sedative and can help you feel more calm and peaceful, as it is a calming amino acid that can help symptoms of depression and anxiety. No one has a perfect diet but, if you have anxiety or depression, you can make some key changes in your diet that can help you feel better and have fewer anxious symptoms. Consume a diet that is rich in whole food as opposed to processed junk that lacks the proper nutrition the body needs to not only combat anxiety but to reap many other health benefits.